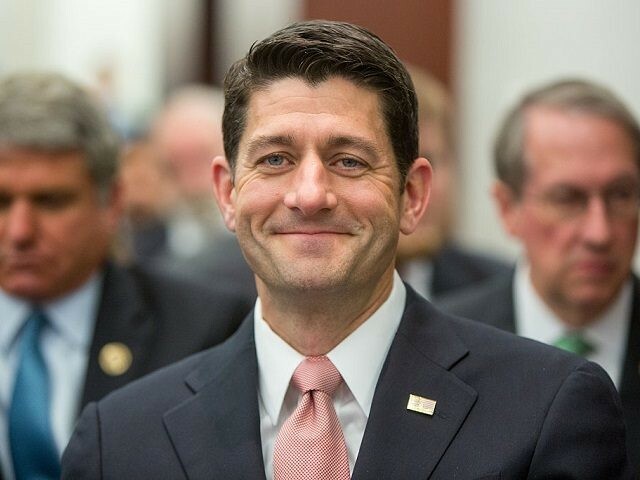 A pro-amnesty “discharge petition” pushed by some House Republicans could grant Speaker of the House Paul Ryan authority to bring his own amnesty bill to a vote, Rep. Steve King (R-IA) explained on Wednesday’s Breitbart News Tonight on SiriusXM. “When have we ever passed legislation or had a discharge petition on something that would just simply give the Speaker of the House the authority to introduce a bill and grant it a path to passage without even knowing what it is?” King asked Breitbart Senior Editors-at-Large Rebecca Mansour and Joel Pollak. 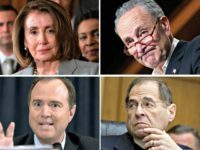 “We have a group of Republicans – they’re generally the moderate Republicans, the ones who don’t line up for us on the social agenda either – and they’ve decided that they want amnesty,” King told Mansour of the ongoing revolt by upwards of 20 House Republicans, led by Reps. Carlos Curbelo (R-FL) and Jeff Denham (R-CA), to join with Democrats and force a vote for amnesty for illegal aliens against the express wishes of the GOP House leadership. “So they put together a unique approach … I don’t know if it’s ever been even written about or thought about before. … They want to set up four different bills under a resolution, and they call it the ‘Queen of the Hill Bill.’ In others words a resolution that would force a vote on four different immigration bills,” King explained. Discussing the possibility of Speaker Ryan, who Mansour described as a “lame duck,” bringing an immigration bill of his choosing to the floor, King spoke about his opposition to Ryan’s underlying views on immigration going back to the 2013 battle on Capitol Hill that led to the narrow defeat of the so-called “Gang of Eight” amnesty, which Ryan supported. “It’s a rotten thing to do to the majority of the American people who voted for a … rule of law Donald Trump and a border security Donald Trump, and it’s a rotten thing to do to the House majority who’s being undermined,” King told Mansour who in turn cited polling data that belies support for these pro-amnesty moves among Republican voters. “It undercuts the Republican platform and the Republican agenda,” King added later. Mansour asked King about his tweet in which he responded to reports that the conservative House Freedom Caucus was seeking to link the “Goodlatte Bill,” the compromise with the most enforcement – including mandatory E-Verify and an end to chain migration – and least far-reaching amnesty, to the must-pass farm bill now being debated in the House. King asked rhetorically if, given the Freedom Caucus’s failure to hold a firm line against amnesty, a new caucus was needed.